Are You a Pawn in Starbucks' Brilliantly Simple Marketing Scheme? 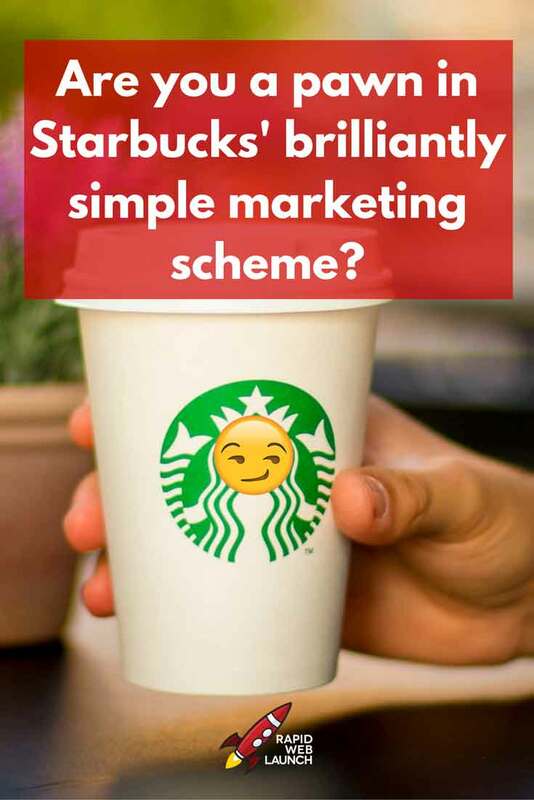 You are here: Home / Entrepreneurship / Customer Experience / Are You a Pawn in Starbucks’ Brilliantly Simple Marketing Scheme? Are You a Pawn in Starbucks’ Brilliantly Simple Marketing Scheme? It happens nearly every week. As I scroll through my social media feeds, and swipe through an endless lineup of stories, that all-too-familiar green and white coffee cup pops into view. Starbucks has done it again. They’ve hilariously, and permanently, screwed up my friend’s name and plastered it all over their morning cup of joe. Aaron? Nah, that’s clearly Airinn. Madalyn? You look like a Mad-Alien. Emily? More like ENEMA, LOL. It doesn’t matter how simple your name is, or how clearly you pronounce it to your Starbucks barista, they will find a way to write something ridiculously incorrect on your cup before they give it to you. You share a picture of your adorably silly Starbucks cup on Instagram. It’s too cute not to, right? And thus, the brilliance of Starbucks’ marketing scheme is fully revealed. If something as simple as misspelling your name on your cup can coerce you into sharing #Starbuckscontent all over your social media channels, and give them 100% free advertising, how could they afford not to do it? This moment of realization hit me as I sat in a Starbucks and waited for my friend Caleb to buy his morning Americano. After receiving his coffee from the barista, he walked over to me with a silly smirk on his face. You see, his name is Caleb, but they had spelled it as Kaylib! And what was he instantly motivated to do? Take a pic of it and send it to his girlfriend. If the barista had simply done her job and spelled his name correctly, not only is that totally boring, but there would simply be nothing for my friend to share with others. Admittedly, I have zero “real” evidence to bolster my theory. And I don’t care enough to actually dig deeper into this conspiracy and freefall further down the rabbit hole of frappucinos and pumpkin scones. Also, I have a friend who worked at Starbucks and claims that I am entirely incorrect. I worked there. They don’t tell us to. But I did it for fun… a lot. Because… it just makes sense, right? It’s so brilliant. So simple, yet so powerful. And it can inspire all of us small business owners to wield the power of social media to our own benefit. If you own any type of service-based business, you should be looking at this as an example of what great social media marketing is capable of. Modern marketing strategies are all about shareable customer experiences. They now build entire restaurants to be “Instagrammable” for goodness sake. Make your product or service irresistibly shareable, and people will do your advertising for you. And it’s all 100% free. This is genius! I’ve thought about it before but it rarely happens to me… Lauren is a pretty simple name and I order via the app these days, so it’s always printed on my cup! And yet, I’ve seen them mess up the simplest of names pretty regularly… ?